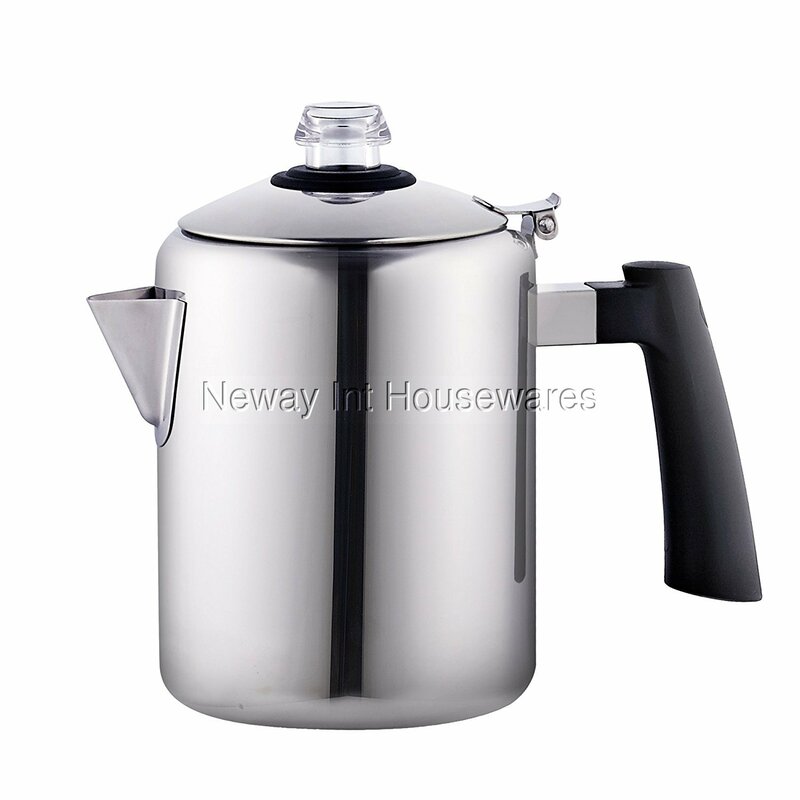 ​The Cook N Home 8-Cup stainless steel stovetop Percolator is made of mirror polished stainless steel to retain heat and is non-reactive. Holds up to 8 Cups/1.9 liters. Stainless steel permanent filter basket is removable for easy cleaning and reusable. Tight seal lid with a clear knob to view percolating. Handle is comfortable and stays cool. Can be used to make Coffee, tea, and boil water. Drip-free spout and has a classic design. Not induction compatible and works on all other stovetops. Dishwasher safe and fully immersible.